The jurisdiction of a District Court is determined by the Texas Constitution and statute. Generally speaking, the jurisdiction of a District Court includes felony criminal cases, civil cases with higher amounts of controversy, and family law matters. 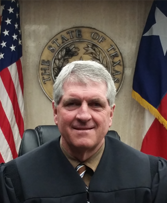 Find out more information about the Texas Judicial System. The 85th District Court handles civil, criminal (felony and related misdemeanors), family law, and juvenile cases. It is the goal of the 85th District Court to provide a just, fair, equitable, and impartial adjudication of all matters brought before this court, and to treat all individuals with integrity, honesty, equality, and respect. How can I get a copy of the transcript of a hearing? How do I get a setting on my case?